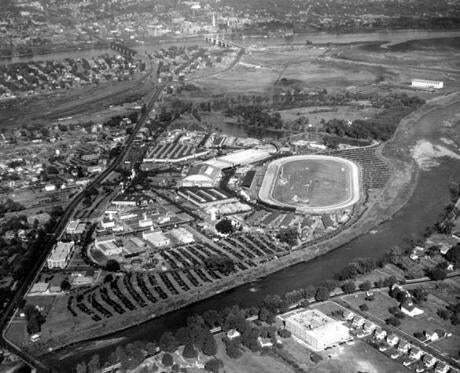 Sept. 15, 1936: An aerial view of the Eastern States Exposition on its 20th anniversary. Governors of five of the New England states were present, with Rhode Island sending its attorney general. At 9 p.m. the 20th anniversary parade was formed. It was headed by the Springfield Girls Scouts Drum and Bugle Corps and included many participants in the expositions that would be presented that week. 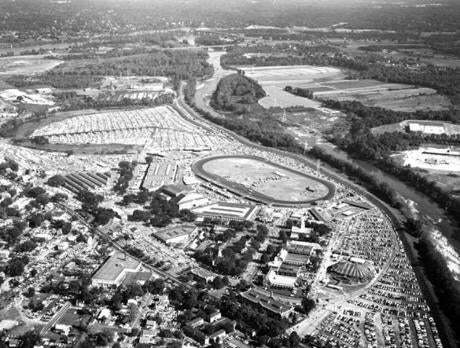 Sept. 14, 1960: By 1960, the exposition encompassed 175 acres and its facilities included 45 permanent building, a 6,000-seat coliseum for indoor shows, a half-mile racetrack and 15,000-seat grandstand for outdoor events, a 2,000-seat tent theater-in-the-round and parking for thousands of cars. 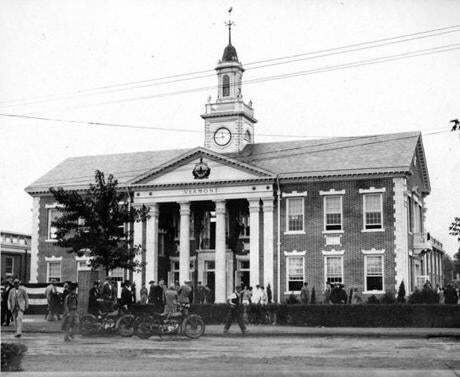 Sept. 18, 1929: The Vermont State Building was dedicated at the Eastern States Exposition in Springfield. Governor Weeks of Vermont and native ex-President Calvin Coolidge attended the dedication. The building had a granite foundation, marble trimmings and a slated roof, quarried in the hills of the Green Mountain state. 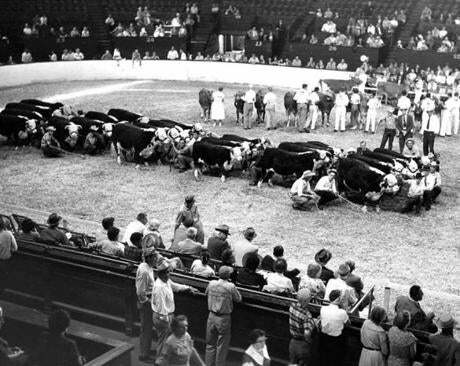 Sept. 14, 1960: The Eastern States Exposition livestock show, largest in the eastern United States, annually showcased more then 3,500 head of championship-quality dairy cattle, beef cattle, and sheep in competition for $30,000 in prize money. 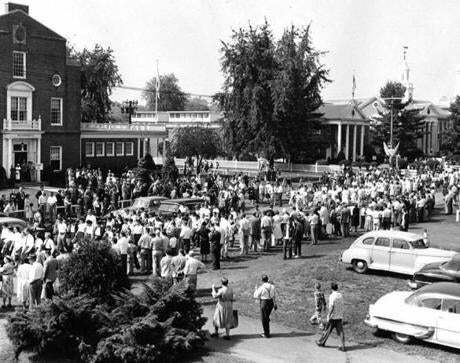 Sept. 14, 1960: The Avenue of States is the only one of its kind in the nation. Here, each of the six New England states owned and operated a permanent exhibit building. 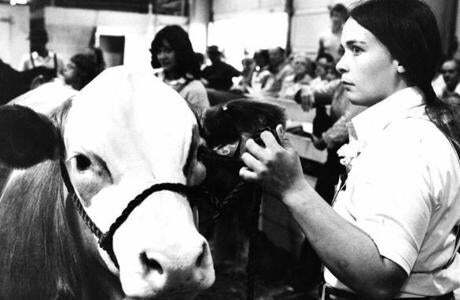 Sept. 18, 1979: Sally Tator of Rhinebeck, N.Y., solemnly watched the steer auction at Eastern States Exposition. Her steer was next to be auctioned off. Sept. 15, 1979: Mickey Pendleton of Lisbon, Conn., urged his draft team on in the weight pull. 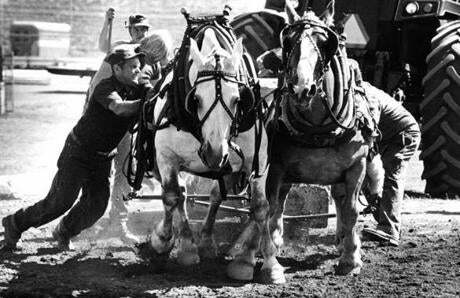 The competition among the draft horses went to the team that could pull the most weight the farthest. Pendelton's horse Ready weighed 1,485 pounds and Daniel weighed 1,490. They finished in third place as they pulled 10,350 pounds for 41 inches. 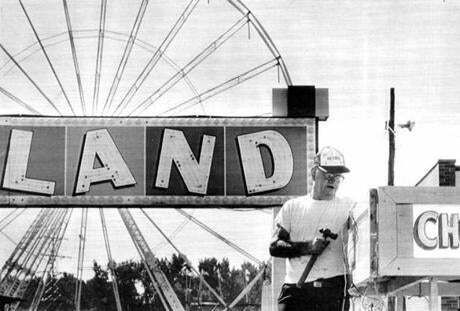 Sept. 9, 1986: Robert Avilley got a food stand ready for the opening day of the Big E Exposition in Springfield, which began its 10-day run. Big E officials estimated as many as 1.2 million people would attend. It took more then 2,700 paid workers and an equal number of volunteers to set and staff the exhibits, cook the food, and answer questions.